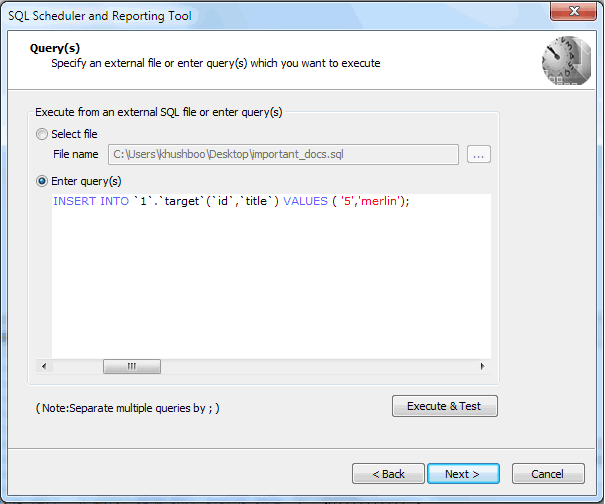 You can specify an external file or enter query(s) that you want to execute. You can separate multiple query(s) using (;). Click Execute & Test to actually execute the statement(s) entered and also to check whether your queries are valid or not.